At Mills Teacher Scholars, we engage teachers in building professional learning partnerships that fuel innovative instruction. The transformation at OUSD’s Life Academy High School shows this core value in action. In a district effort to improve teacher retention in Oakland Unified, Life Academy joined Mills Teacher Scholars, giving teachers the opportunity to engage in powerful collaborative inquiry. A common assumption is that teachers leave high-poverty schools because of the student population. Rather, studies show that teachers leave high-poverty schools because they feel isolated or because working conditions (poor leadership, bureaucratic policies, lack of safety or structure, level of teacher influence) make it hard to do their work. Research also shows that the inverse conditions build teacher resilience, even in a challenging teaching job or high-poverty school. Teachers who engage in learning communities, as the Life teachers did through Mills Teacher Scholars, are more likely to be retained. These teachers experience a sense of efficacy, a collaborative community, opportunities for leadership, and the time and space for inquiry into their practice. 40 of 100 English Language Learners improved in reading by multiple grade levels on the SRI (Scholastic Reading Inventory). 20 students improved their English Language proficiency on measures including the CELDT. 82% of Life Academy teachers who were asked to stay in their positions reported that they plan to teach at the site next year. 100% of teachers reported that they feel more comfortable receiving questions and feedback from colleagues that challenge their current thinking/ideas. This story is not unique to Life Academy. 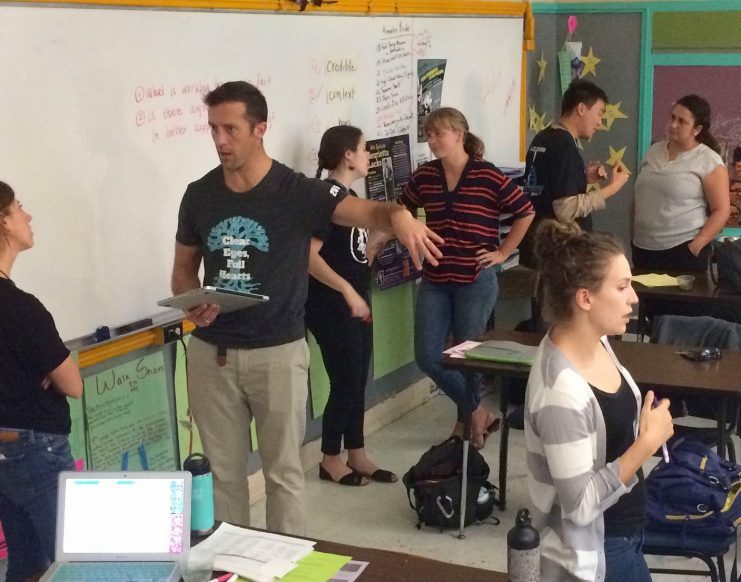 The same teacher learning conditions that Mills Teacher Scholars supported at Life Academy–collaborative, teacher-driven inquiry–can be deliberately nurtured to decrease isolation and increase teacher collective efficacy at any school or district, pushing back against the teacher attrition crisis in Oakland and beyond. In enacting our value of collaborative learning, we support teachers in building learning communities that lead to transformational change. Being a teacher scholar puts me in the driver's seat of my teaching practice. I feel empowered to consistently focus on one area of practice and to view challenges from different perspectives.